As she bent a metal spoon with her mind, computer scientist Maureen Caudill knew she was witnessing a total violation of the laws of physics--and that her understanding of reality would never be the same. Letting go of the ultra-rational, skeptical perspective she had maintained over a twenty-year scientific career, Caudill joined the 50% of Americans who report having had psychic experiences (National Science Foundation, 2000) and began a firsthand exploration of phenomena like clairvoyance, remote viewing, out of body experiences, channeling, and mediumship. In Suddenly Psychic, she shares her new conviction that paranormal abilities are a normal part of human consciousness and anyone can learn them, using her scientific background to validate and explain her experiences. Combining vivid descriptions of altered states of consciousness with an in-depth look at cutting-edge scientific theories that are consistent with these phenomena, Suddenly Psychic is a reader-friendly bridge between the mysteries of the mind and hard science that speaks to skeptics and believers alike. 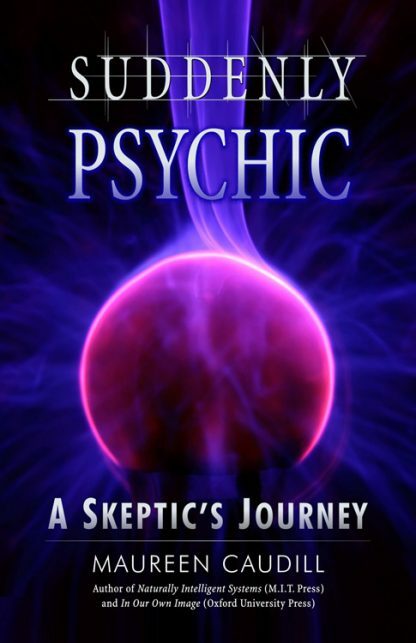 Caudill's compelling journey offers convincing evidence for the legitimacy of psychic phenomena--and will inspire you to see for yourself what's possible! Maureen Caudill spent more than twenty years as a computer scientist, fifteen of those as a researcher in artificial intelligence and neural networks. She was a program manager and Artificial Intelligence researcher working on such advanced projects as DARPA ("High Performance Knowledge Base" program) and ARDA ("Advanced Question Answering for Intelligence" program).